Royal F. Munger worked as a reporter, then as financial editor and columnist for the Chicago Daily News from the early 1920s until his death in 1944. His column, “Old Bill” Suggests, began sometime before 1932 as a weekly contribution to the inside pages of the newspaper’s financial section. The column was eventually moved to the front page of that section and appeared six days a week. When Mr. Munger joined the U.S. Marine Corps in 1942, he continued to write his column, again weekly. This site will eventually contain various columns from 1932 to 1943, arranged by date; some undated columns; and an undated collection privately published by Royal’s son, John Munger, after Royals’s death. Biographical information is also included. All the columns are available on microfilm in the Chicago Public Library’s archives of the Chicago Daily News.Royal F. Munger was born in the Chicago area in 1894, educated at the University of Chicago, and served in France in World War One, first as a U.S. Marine Corps private and then as an officer. He later served as a U.S. Army officer in the reserves between the wars.After his discharge as a first lieutenant in 1918, Royal married Mia Stanton. He and Mia lived for many years at 126 South Spring in LaGrange, Illinois with their children Edwin Stanton (“Ned,” b. 1922), John-Robin (b. 1926), and Roger Poindexter (b. 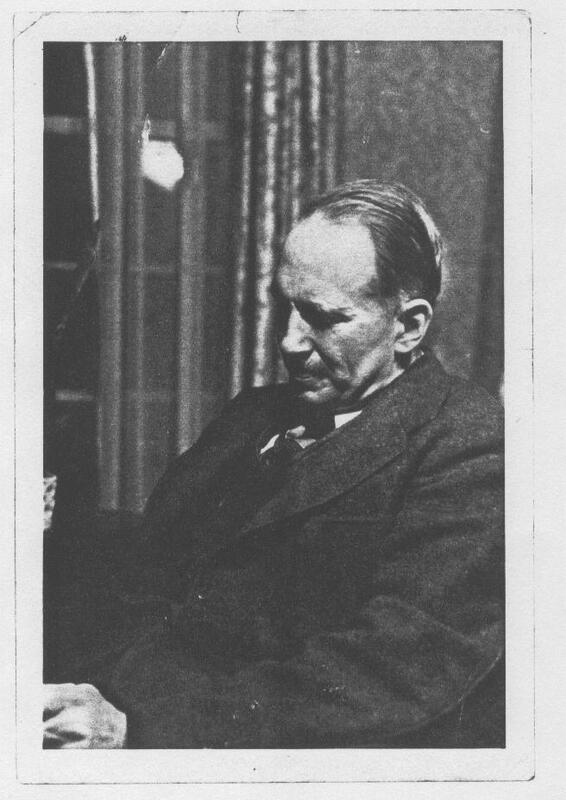 1927). 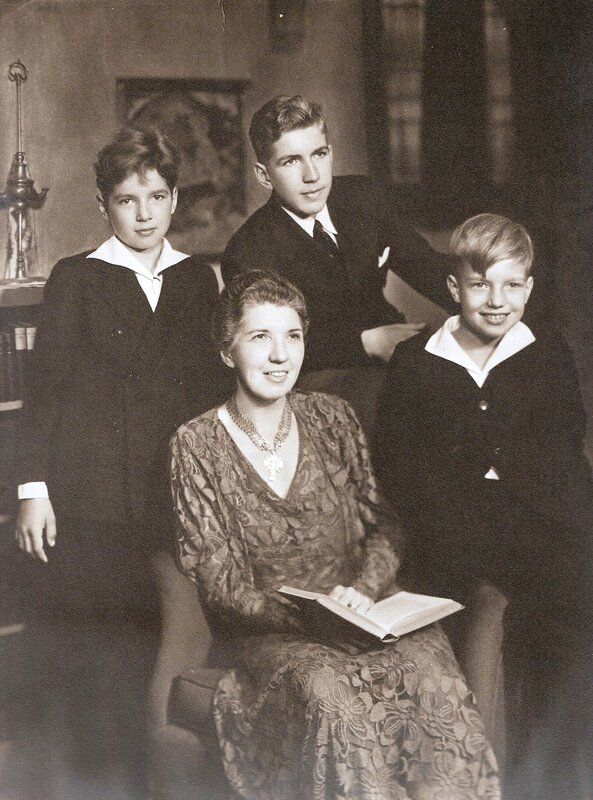 This photograph was taken in the study of 126 South Spring shortly before Royal left for military service in 1942. When their boys were young, Royal—who was known as “Skipper” to family and friends—and Mia visited their summer cottage in Michigan’s lower peninsula. 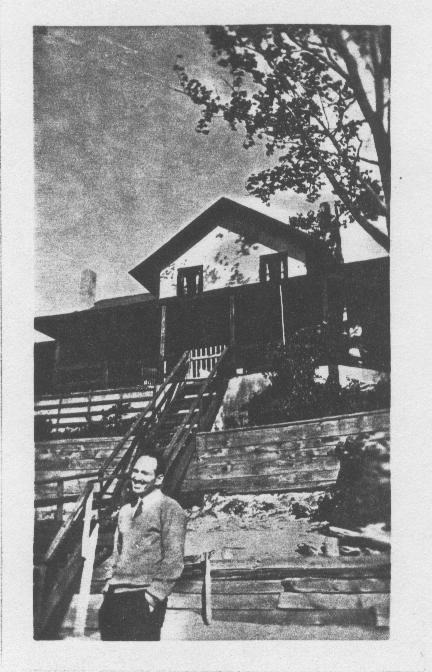 The cottage was located on Lake Michigan in the community of Juniper Beach in Oceana County, 9 miles west of Hart, halfway between Muskegon and Ludington. It had two stories, three wings, and four stone fireplaces. In 1942, at the age of 48, Royal enlisted in the U.S. Marine Corps after being rejected for service by the U.S. Army. 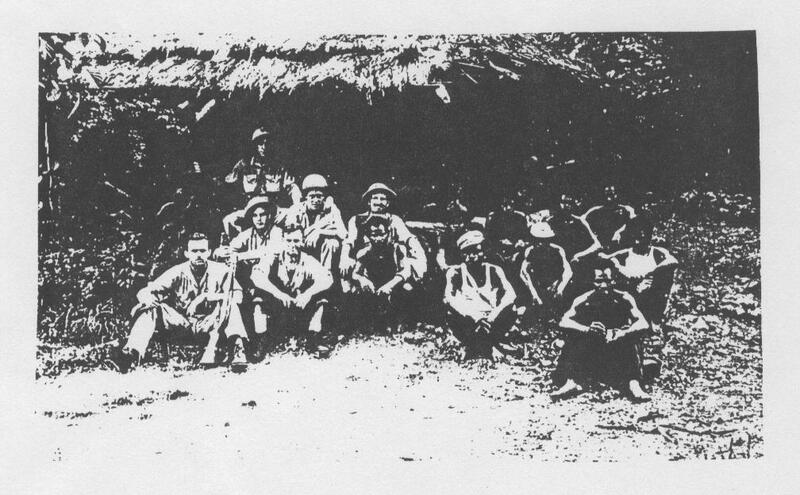 He was soon selected to be an officer and was assigned to the Headquarters Squadron, Marine Air Group 11, First Marine Air Wing.In his position as the squadron’s intelligence officer, Royal worked with a reconnaissance unit operating out of Turtle Bay Airfield on Espiritu Santo Island in the New Hebrides (now Vanuatu) island group in the southern Pacific.The unit carried out reconnaissance missions looking for Japanese forces in the New Hebrides, Solomon, and Marquesas island groups.This photograph shows the reconnaissance unit, informally known as “Munger’s Marauders,” and some local supporters. Royal sits in the center back of the picture. With Royal in the Marines, Mia and the boys moved to smaller living quarters—the upper two floors of 5605 South Dorchester in the Hyde Park neighborhood of Chicago.Mia, who had been working part time as a lecturer on English cathedrals and at the Thorne Miniature Rooms at the Art Institute of Chicago, increased her work to full time.As Japanese military activity decreased in his unit’s operational sector, Royal began training to fly the SNJ-3 aircraft, a North American Aviation advanced trainer used as a utility/transport plane. 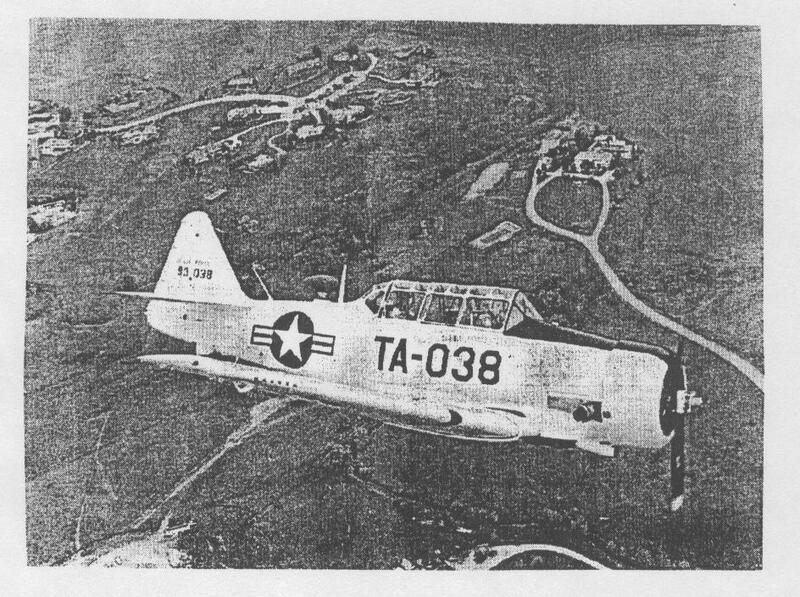 He had been a private pilot and owned his own aircraft in civilian life.In 1944, Captain Munger and a colleague crashed in the water of Turtle Bay, within the boundaries of the practice area of the Turtle Bay Airfield.This photograph shows an SNJ-3, the type of aircraft in which Captain Munger died. In October 1998, Royal’s son Edwin traveled to the location where his father died and tossed a wreath from an overflying plane into the approximate area of the bay where Royal’s plane disappeared more than 54 years earlier. He attached a copy of the tribute shown below, that he read just prior to letting go of the wreath. This site is dedicated to the memory of an honorable and intelligent man who never had the chance to see his three children grow up and to share time and wisdom with his grandchildren. Secondarily, this work is in honor of my father, John Munger, who lost his father at the age of 18, and who was haunted by that loss for the rest of his life. Anyone from the Munger family monitor this page? I have a summer home on your old Juniper Beach property. I was searching for this person as I came across an old diary and someone had written a little memo to their son in which they attached a clipping (that was not in the diary) from Munger’s column. They went on to say that they had read “Old Bill” for “quite a long time” and “[h]e was a good writer and gives good advice on various subj”. The memo-writer also states that he had been reported missing in action over a month ago in South Pacific. So it’s nice to be able to find this and read up on the fellow! Thanks for the wonderful anecdote. Glad to hear the power of the Internet at work once again, providing this link to such a tenuous source (the diary entry). Someday soon I’ll hopefully get back on this project and add all the additional columns that we have in our possession to the site. 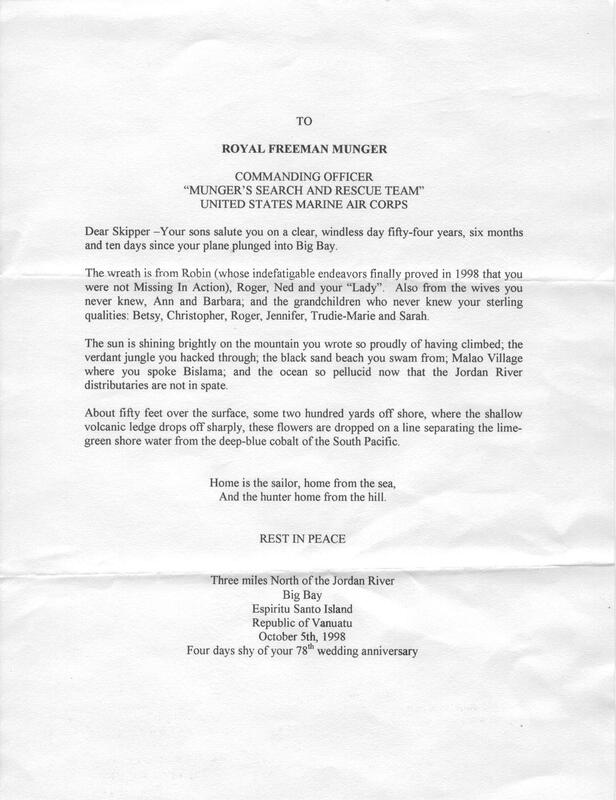 Captain Royal F Munger was one of the unforgettable Marines I had the good fortune to serve with during my career. I accompanied him on a couple of his in country trips and always amazed at his physical endurance. As an 18 year old, at that time,I considered him quite old (49) to have gone through Basic Training at Parris Island. Using only two fingers on each hand he typed up a storm on his portable! Thank you for sharing tho memory Elaine! I believe we have a copy of A Family Garden of Verse but don’t believe we have a copy of Along the Shore. I will have to try and post some of the former in the future.